Here are our news and bonus offer round up for the last day of this week and month! 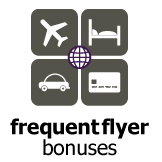 Fun Fact Friday: Did you know that our global website FrequentFlyerBonuses.com covers the most loyalty promotions out of all the major frequent flyer/travel points websites and blogs? In fact in a recent survey we conducted approximately only 30% of the offers FFB passes along to you are covered by other websites and blogs. And of those only thirty odd percent, FFB is the first to post these offers over 60% of the time! (and is first and only one for the other ~70%). If you are a global traveller and haven't visited FFB you should do so now and bookmark it! It is a valuable tool to have in your quest for more miles, more points and more rewards. "I am just wondering if I lose my points that I get from the credit cards if I cancel the card? I have a card with aeroplan points but I want to cancel it before the renewal fee comes into affect at the year mark"
With Aeroplan you won't lose the miles as long as they have posted to your Aeroplan account. Those miles typically post when your monthly statement is complete. If you cancel in between you may lose the miles just for that month depending on who issues the card but most will award you the miles for what you spent right up to cancellation. To make sure you don't lose any I would use the card right up to the statement date cut off then stop spending on the card and cancel it. For other cards with proprietary programs not connected to programs like Aeroplan, Air Miles etc. you may lose your miles/points when you cancel if you haven't used them. Depending on the card you may forfeit the points right when you cancel (so book travel before you cancel) while some others may give you up to 6 months after you cancel to use your points. Air Miles is having a Super Bonus Event Black Friday Edition with bonus offers from Safeway, Michaels, Old Navy and more. You can access the offer details here. Why camp out in the cold when you can earn even more miles with Black Friday & Cyber Monday online shopping deals! The great deal of 55 Air Miles for $50 Gift Cards ended yesterday (I ended up buying 6 cards for 330 Air Miles) and now for today only, Safeway has come out with another deal. You will earn 100 Bonus Air Miles for every $100 spent on Gift Cards at Safeway up to a maximum of 500 Air Miles (or $500 spent). What makes this offer better in some ways than the 55 Air Miles deal is that the previous offer was limited to select retailers while this offer is for all gift cards other than Safeway, Pre Paid Credit Cards and LCBO gift cards. You can find all the details here but no coupon is required. Remember to use a credit card that earns extra miles or points on grocery store purchases! For the second month in a row we are lucky to see Canada included in Air France KLM's Promo Awards although there is only one option this month! These will be bookable as of December 1st and are good for award travel for February and March of 2015. 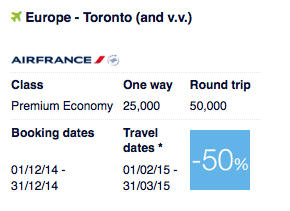 The offer this time is for 50% off Premium Economy Class between Toronto and Europe on Air France. Don't have the miles? You could always consider transferring Starpoints earned via the Starwood Preferred Guest Credit Card from American Express to Flying Blue. What are the promo awards? The promo awards are a discount of 25-50% off the regular Flying Blue mileage requirement for select Air France, KLM, Air Europa and Kenya Airways award tickets in select cabins. Due to increases in the regular award mileage requirements some time ago the promo awards are not as grand as they used to be but overall are still considered a great deal when compared to the regular mileage requirements. To take advantage of this deal you must book your promo award ticket between December 1st and 31st for travel between February 1st and March 31st, 2015. More details can be found here. The biggest shopping days of the year for the U.S. are Black Friday and Cyber Monday while here in Canada it has always been Boxing Day. In the last few years Canada has caught on to the whole craze and now we celebrate Black Friday and Cyber Monday as well. While many people will choose to camp out at their favorite retailers for those amazing deals, most frequent flyers, mileage and points hounds will actually be happy at home relaxing in front of their computers to get their Black Friday and Cyber Monday shopping done. Why? The almighty miles and points. That's why. When shopping online these people will be earning their regular credit card miles and points for purchases as they would in-store but will earn even more by shopping via online shopping portals. While many major loyalty programs have online shopping portals for shopping at your favorite retailers some stand out for the upcoming crazy shopping days as not only will you earn your base miles through the mall and you credit card miles but you'll also earn bonus miles that these portals are offering! At the time of posting it appears that many of the U.S. based programs have not released their Black Friday/Cyber Monday bonus miles offerings yet or who knows maybe they aren't having any any since they know people are going to shop anyways! Here are RC's top 4 online mall bonuses for the upcoming Black Friday and Cyber Monday shopping frenzies! One of the largest and longest running Canadian online portals, airmilesshops.ca has some big bonuses in store! You'll earn 10x reward miles offer valid on qualifying purchases of $20 CDN or more, excluding shipping, duty and taxes, made in a single transaction on top of additional bonuses for individual retailers. For example, The Source has 15x the Air Miles, which means even on a small $20 purchase you'll earn 24 Air Miles, on a $100 purchase its 120 miles! Find all the details here. One of the newest online portals in Canada, the RBC Rewards Mall is only for RBC credit card holders and they have quite the deal! Cardholders will earn up to 15x the RBC Rewards Points for online purchases made via RBC Rewards eMall. Since they state 'up to 15x' it seems like the bonus depends on the retailer, so some many not have any bonus while others will have the whopping 15x! Find all the details here. Not into points or miles? You can always choose to earn cash back via the online portals that offer a rebate on online purchases. The two biggies in Canada are GreatCanadianRebates.ca and ebates.ca. ebates.ca will be awarding double cash back on Black Friday purchases, we have not seen what GCR is planning. 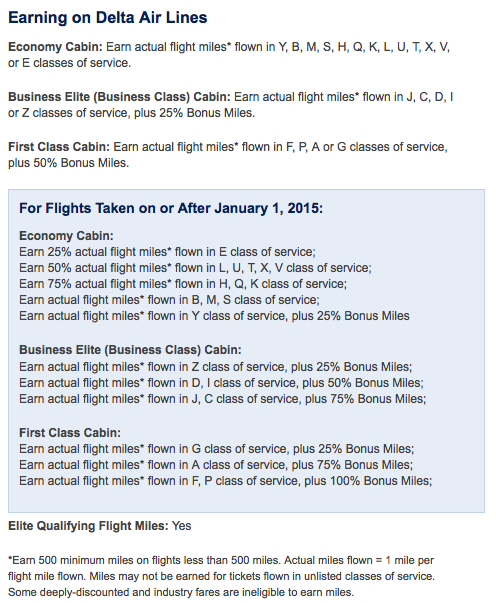 More programs changes being revealed, not so good news for JAL Premium Class travel out of YVR. 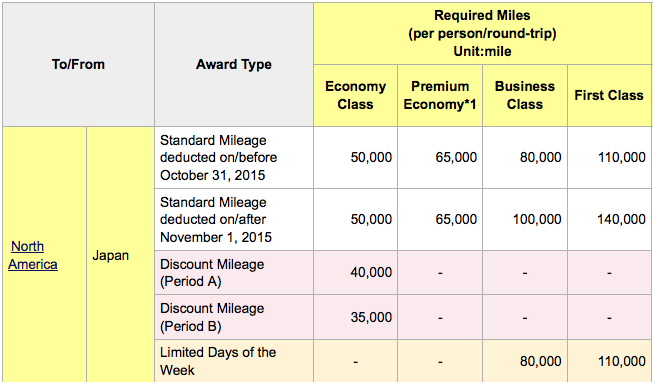 JAL International First Class and Business Class award tickets mileage requirements are changing, see the charts below for flights from Vancouver and other North American cities to Japan (not until Nov 1, 2015, now that's advance notice!!). As you can see business and first class are seeing major increases except on select days of the week and the lowest discount economy goes lower! 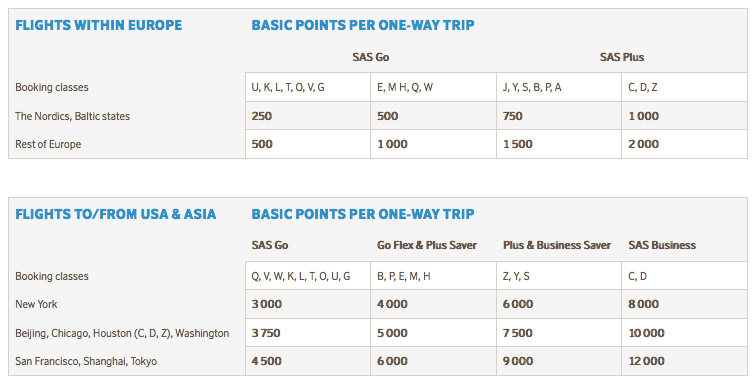 one way International award flights now only costing half the miles of a round trip flight. Coast Hotels Coast Rewards members can save up to 40% off stays booked during their Pink Friday sale. Find all the details here. In what seems to be an extremely simple and easy way to earn 2,000 IHG Rewards Club points for free may actually not be all that simple. Why? Most of you are already members! Based on the popularity of our IHG Rewards Club Bonus Points page and all IHG posts here on the RC blog we figure the majority of you are already members. But if for some reason you have not joined this program now is the time to do so as you'll get 2,000 points for doing so if you live in the U.S. or Canada! American Express and Air Canada have teamed up for a new sign up offer for the AeroplanPlus Platinum and AeroplanPlus Gold Cards. The offers are for 30,000 Bonus Aeroplan Miles and a $200 statement credit if you book an Air Canada flight within 12 months of approval for the Platinum Card or 20,000 Bonus Miles and $100 Statement credit for the Gold version. 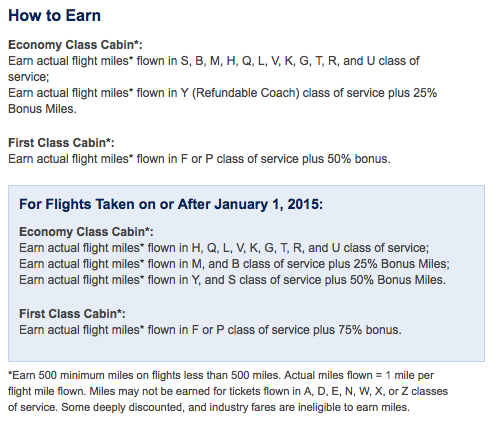 Essentially with these offers the bonus miles have been lowered to account for the statement credit. The best offer right now for the Platinum Card is the refer a friend bonus is 41,000 Aeroplan Miles or the standard public offer of 40,000 miles. While the Gold Card is 26,000 miles for the refer a friend offer or 25,000 for the standard public offer. So the dilemma is which offer is better for you? Do you give up up to 11,000 miles for the $200 statement credit or up to 6,000 miles for the $100 credit on the Gold Card? If you value Aeroplan Miles at 1 cent a piece then the statement credits are a better deal but for many people Aeroplan Miles are worth more than that especially if redeeming for business class tickets so the miles would be worth more. If you value them at 2 cents a piece, the miles are definitely the better way to go. If you are only looking the Gold version another option is the American Express Gold Rewards Card as it offer 25,000 Membership Rewards Points (equals 25,000 Aeroplan Miles) and is first year free. For more details on the Air Canada statement credit offer see here. For the third promotional period in a row Best Western is only bonusing bookings made online via their website. It also appears that Best Western may be doing quite well as the bonus has dwindled to only 500 points from the previous 1,000 to 1,500 we saw. Even elites don't get love here with an extra bonus like we saw on the promo that ended on November 23rd. Anyways, if you are Best Westerner a bonus is a bonus so you should register for it and book via bestwestern.com to up your point intake. You can always check out our Best Western Rewards bonus points page for even more bonus point deals! 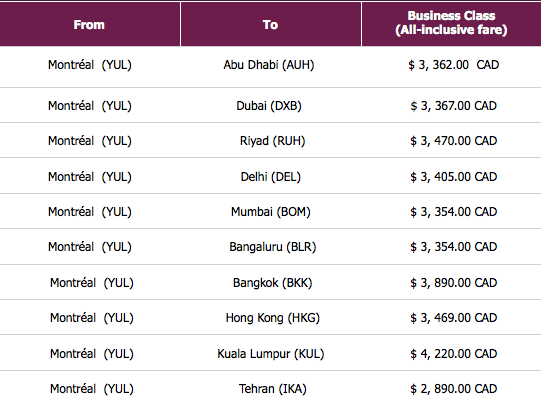 Qatar Airways has a launched yet another global 2 for 1 business class sale and once again it includes their flights out of Montreal to various destinations Worldwide. Fares start as low as $2,890 all in and must be booked by October 31st for travel between December 1 and March 26. 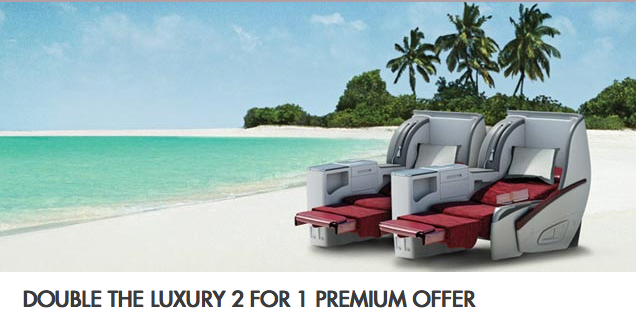 The offer also includes 50% bonus QMiles if you are a member of Qatar Airways Privilege Club. You must register for the bonus miles by logging into your account, clicking on 'My Offers' and selecting the promotion at least 24 hours prior to flying. 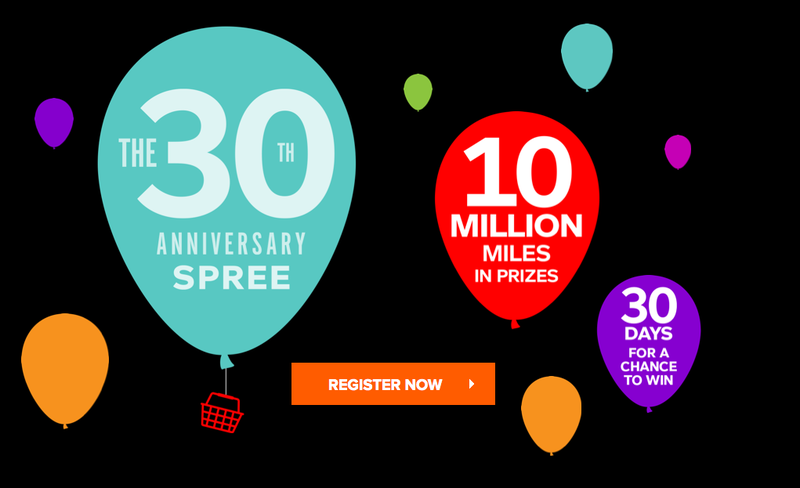 airberlin: 1,000 Free topbonus Miles for registering for the frequent renter offer from Sixt returns! Today we see the return of a free miles offer we saw earlier this year (see our post from July) Sixt is offering members of airberlin's topbonus program 1,000 free miles simply for registering on their site for a frequent renter offer from them. When I signed up for the offer in July we did actually receive the miles, unlike the similar Miles&More offer which seems many people did not receive their miles. 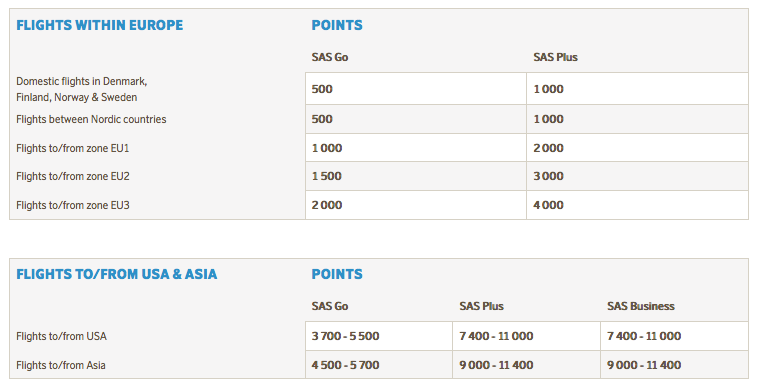 To earn the 1,000 bonus topbonus miles simply register online by December 31st. The registration also offer bonus miles on multiple Sixt rentals, if you complete 5+ rentals you'll earn 1,000 miles per rental, 10+ rentals earn 1,500 while 20+ earns 2,000. The latter two may be tough when the promotional period is only 38 days long. A great start to week for the world of Travel Rewards! 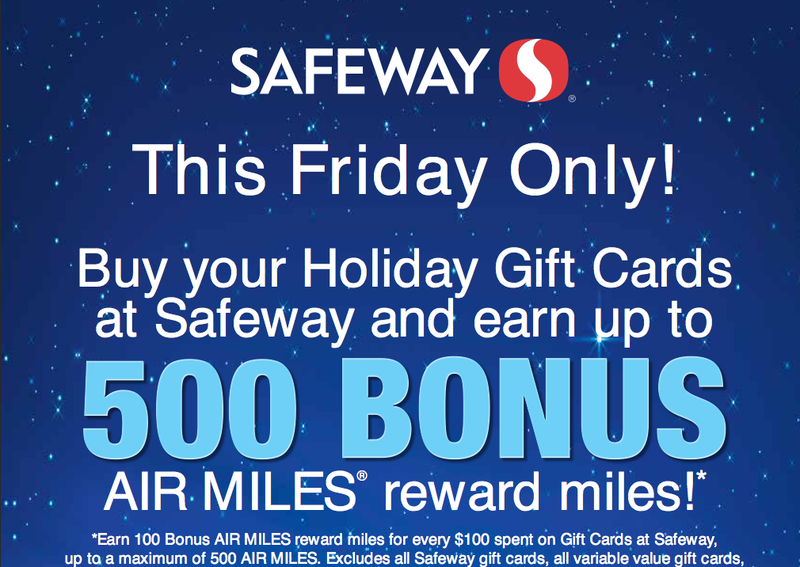 How to earn even more Air Miles Reward Miles on your Safeway Gift Card purchases this week! Last week we let you know about a great deal to earn bonus Air Miles at Safeway for buying Gift Cards. 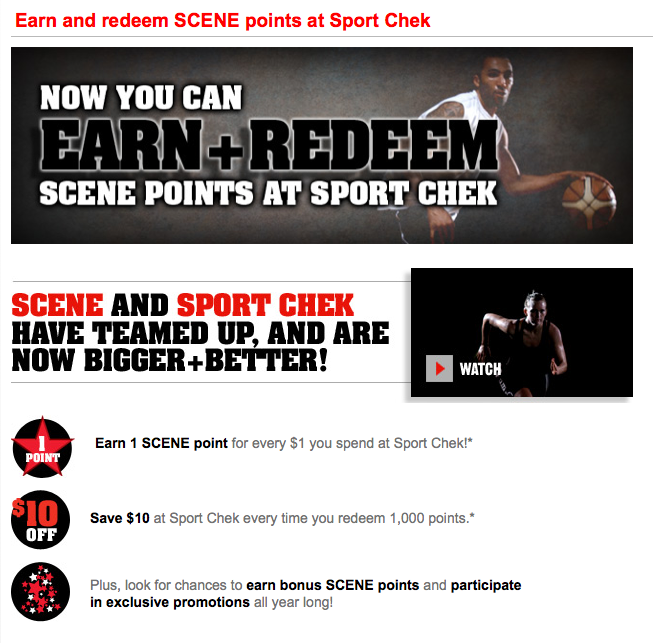 The bonus is 55 bonus miles for each $50 Gift Card you buy for select merchants. I won't go into more details about those as you can read all about it in the actual post (and print the coupons). Now the latest email has an offer that if you use an American Express Air Miles card at Safeway this week you can earn 75 bonus Air Miles when you spend $75 or more in one transaction. So if you just buy two gift cards for $100 you'll come out with 185 Bonus Air Miles on top of the Air Miles you'd normally earn on one of those American Express Air Miles cards. This offers runs during the exact same time period as the Gift Card offer. Happy bonusing everyone! Offer valid from November 21 to November 27, 2014 at participating Safeway locations in Alberta, Saskatchewan, Manitoba, Ontario, and including the following stores in British Columbia: Cranbrook at 1200 Baker Street, Dawson Creek at 11200, 11216 - 8 Street, and Fort St. John at 9123 - 100 Street. Not valid at Safeway Liquor Stores and Safeway Oil & Gas. Earn 75 Bonus AIR MILES® reward miles with a purchase of $75 or more made in a single transaction and charged to your Basic or Supplementary American Express®* AIR MILES® Credit Card, American Express®* AIR MILES® Platinum Credit Card, American Express®* AIR MILES® Reserve Credit Card, American Express®* AIR MILES® Business Platinum Credit Card, American Express®* AIR MILES® Business Gold Credit Card , and American Express®* AIR MILES® for Business Card. No coupon required. No maximum or minimum number of items as long as it is 1 transaction totalling $75. Last Friday we were one of the first to bring the details of the newest IHG Rewards Club PointBreaks offers and are happy to tell you that they are now live! There are 165 Hotels participating in this set of offers and are now open for booking for stays until Feb 28, 15 (subject to availability). Unfortunately for those of you stuck traveling within the confines of our beautiful country you'll only find two Canadian locations participating. The Crowne Plaza Fredricton is a good choice and a great deal at 5,000 points while those primarily in the Oil & Gas Industry who are self employed may find redeeming 5,000 points in Ft. St. John as a good cost savings measure. 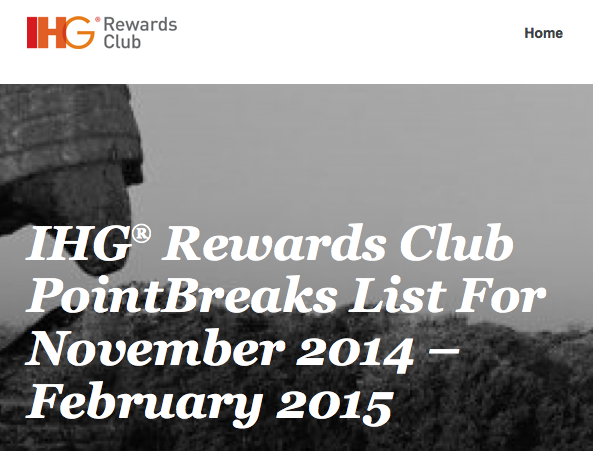 Why are IHG Rewards Club Point Breaks such a great deal? Because they offer reward nights at participating IHG hotels Worldwide for only 5,000 Rewards Club points. For those of you not to familiar with IHG Rewards Club , normal redemption rates for Rewards Club reward nights run from as low as 10,000 points for some Holiday Inn and Holiday Inn Express locations to 50,000 points for ultra-luxurious InterContinental locations and even these locations can participate in PointBreaks. So as you can see you can receive a discount of 50 to 88% off the regular redemption rates. You may be thinking that the high end hotels won't participate but they do depending on the time of year! Please note that like most loyalty promotions these offers are capacity controlled so I advise to book sooner than later to ensure you get the PointBreaks rate. These offers are now bookable via the primary PointsBreaks page or via the individual hotel links below.